Back to Hollywoo for another go. 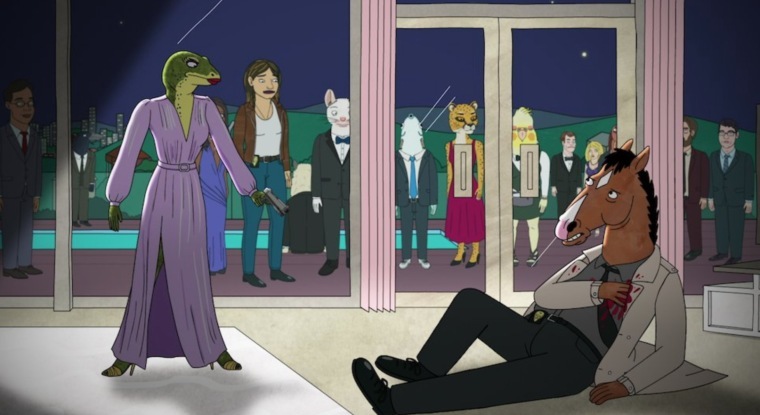 It's felt like forever since we've heard from our favorite depressed alcoholic horse, BoJack Horseman— especially if you binged the entire fourth season in a toxically short span of time, we're inching up on a year outside of Hollywoo. Gratefully, the fifth season now has a premiere date in sight, and it'll be hitting queues September 14th. Netflix also shared the first peak of the season in the form of a scandalous screengrab, which you can check out above.